Is there a food that you like so much that your love for it has compelled you to eat it in, well, sort of strange ways? Maybe you admitted on your podcast to making a taco out of macaroni and cheese or perhaps you drown your oatmeal in tamari every. single. morning. Those are of course, completely hypothetical scenarios. I’m not going to even try to deny my love of sungold tomatoes. Sungolds are small, slightly orange cherry tomatoes. They’re super-sweet and are my absolute favorite tomato. This time of year, I’ll eat them every which way I can. A recent pre-lunch fridge inventory revealed that I was 2/3 of the way to a caprese salad: I had tomatoes and basil, but no mozzarella. As a stand-in for the cheese, I chose plain greek yogurt–the creamiest thing I had that I could get away with eating by the bowlful. (I would like you to know that there was also crème fraîche in the fridge that day.) I felt more than a little unsure about this little concoction, but I powered through. Turns out, it was good—really good. So, here we are. This isn’t a recipe, as much as it is a suggestion to get wild and put tomatoes in your yogurt. Here’s how it should play out: Drizzle a couple generous dollops of your preferred greek yogurt with your best olive oil. 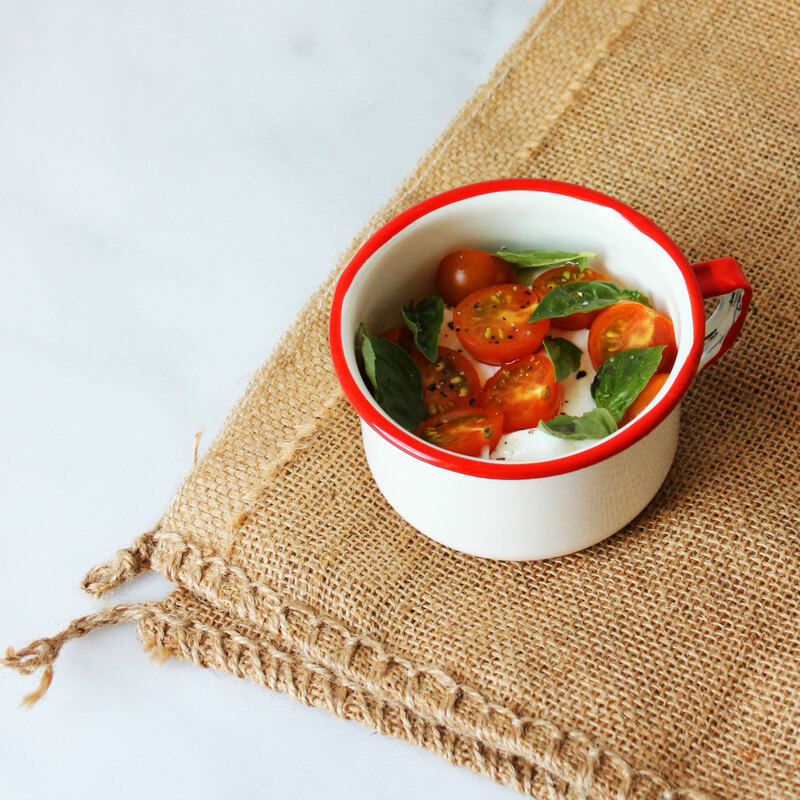 Top with a handful of your favorite halved cherry tomatoes. (Sungolds forever!) Finally, scatter a handful of basil leaves on top and sprinkle with coarse salt and freshly ground pepper to taste. 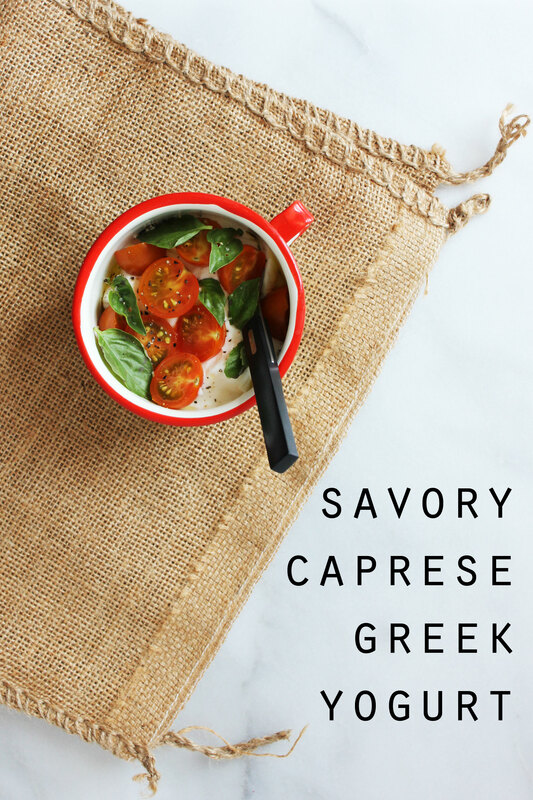 Announce to no one that you’re going to eat caprese for lunch, with or without mozzarella. I love this idea! I always have yogurt on hand (unlike fresh mozzarella) and could get caprese flavored ANYTHING this time of year! OMG! Thank You! This looks so good! I just started making homemade greek yogurt and I was looking for a recipe just like this! One of my all time favorite things to eat is a fresh caprese salad (usually with mozzarella). 🙂 I can’t wait to try this with yogurt!